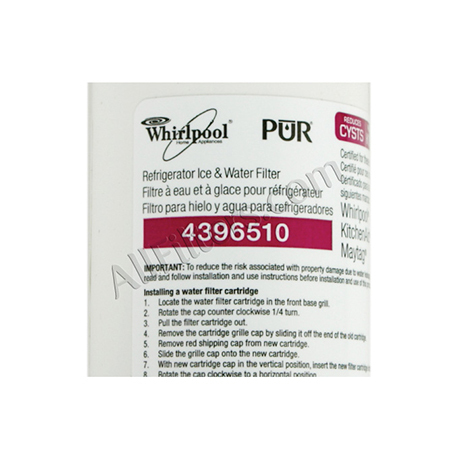 Whirlpool 4396510 PUR Refrigerator Filter - Only $28.90! 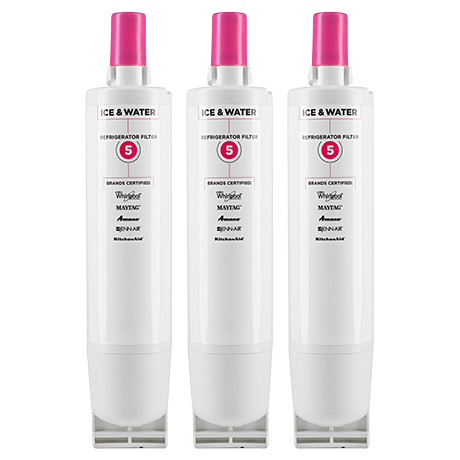 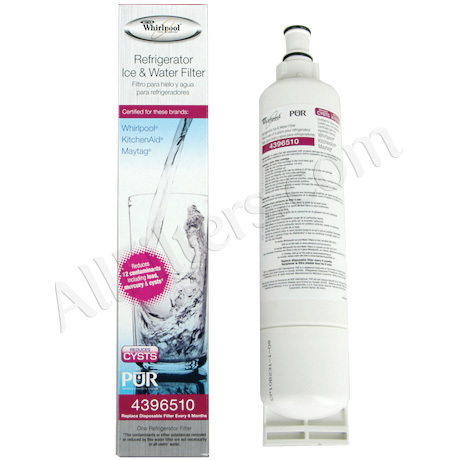 The genuine OEM Whirlpool / KitchenAid 4396510 Ultimate Refrigerator Ice & Water Filter replacement fits Whirlpool, KitchenAid, Maytag, Amana, Jenn-Air, Thermador, and Kenmore side-by-side refrigerators with a quarter-turn filter located in the grille at the bottom of the fridge. 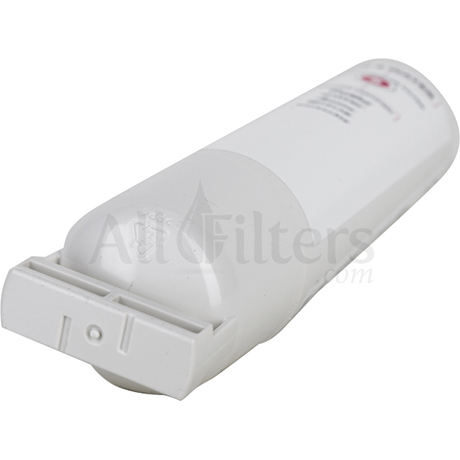 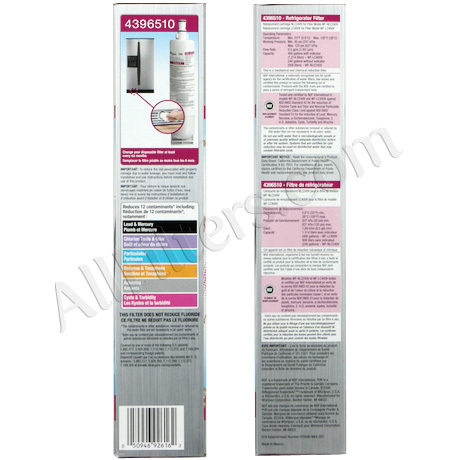 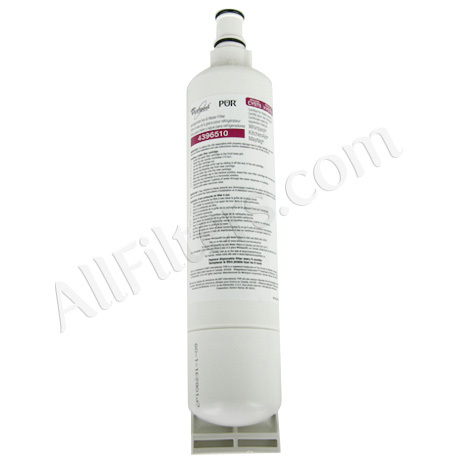 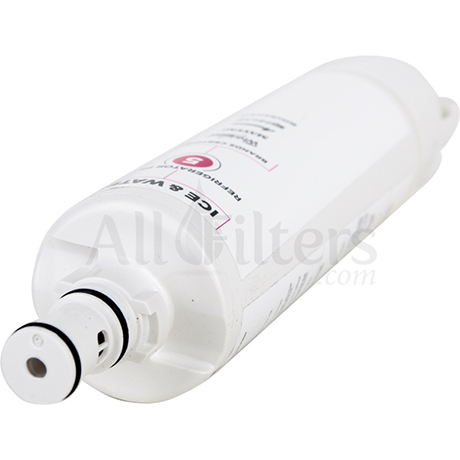 The Whirlpool 4396510 filter is the newer, improved version of the older 4396508 filter. 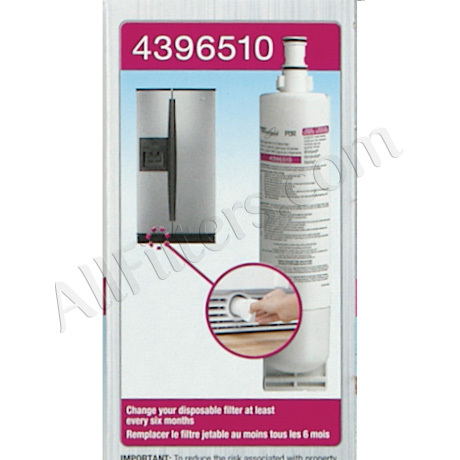 The 4396510 filter will perfectly fit any refrigerator that currently uses the 4396508. 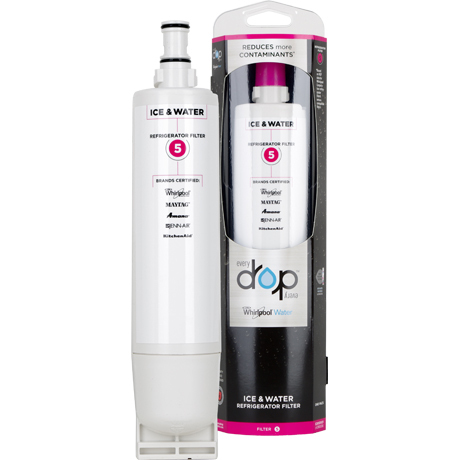 *Some Kenmore refrigerators are made by Whirlpool.